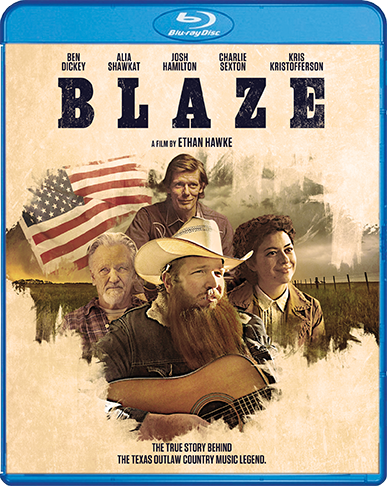 Directed, co-written, and produced by Ethan Hawke, Blaze is inspired by the life of Blaze Foley (Ben Dickey), the unsung songwriting legend of the outlaw music movement that gave the world the likes of Merle Haggard and Willie Nelson. 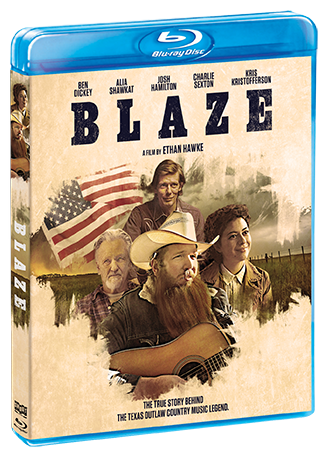 The film weaves together three different periods of time, elegantly braiding re-imagined versions of Blaze's past, present, and future. The different strands explore his love affair with Sybil Rosen (Alia Shawkat); his last, dark night on Earth; and the impact his music had on his fans, friends, and foes. Featuring unforgettable performances and stylish direction, Blaze is a glorious exploration of the profound highs and lows of Foley's life.